Happy Monday! 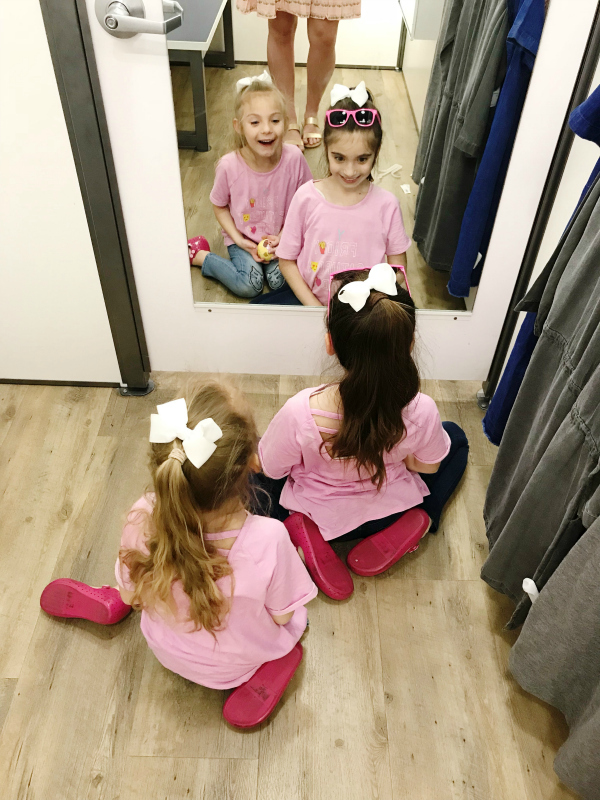 This weekend, we had a taste of spring weather and it was good for the soul! The warm temperatures and the sunshine just made me happy. I've got serious spring fever, especially since springtime is just a few days away! I'll just try to ignore that snowflake that I see on Wednesday's forecast. Peace out, winter weather! 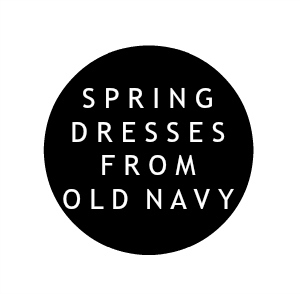 In honor of spring coming soon, I'm sharing a try on session of great dresses for spring and they are all from Old Navy (which means they are also super budget friendly)! 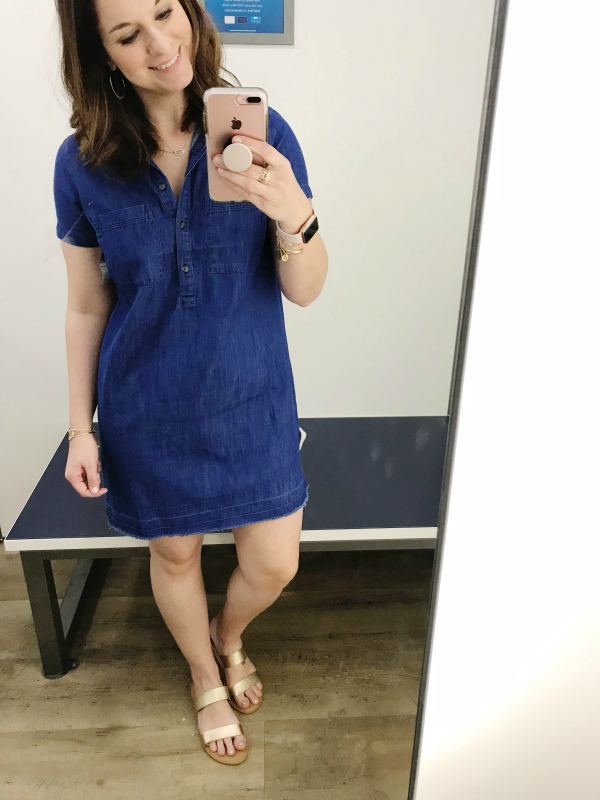 This denim dress is such a great closet staple! 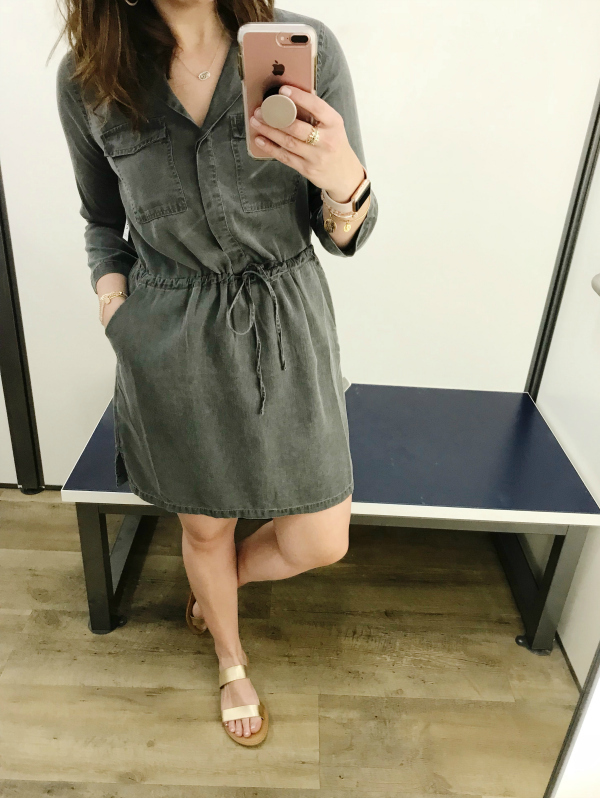 I love the shirt dress style and the cute raw hemline. I tried on a size small and I found that the fit was true to size. 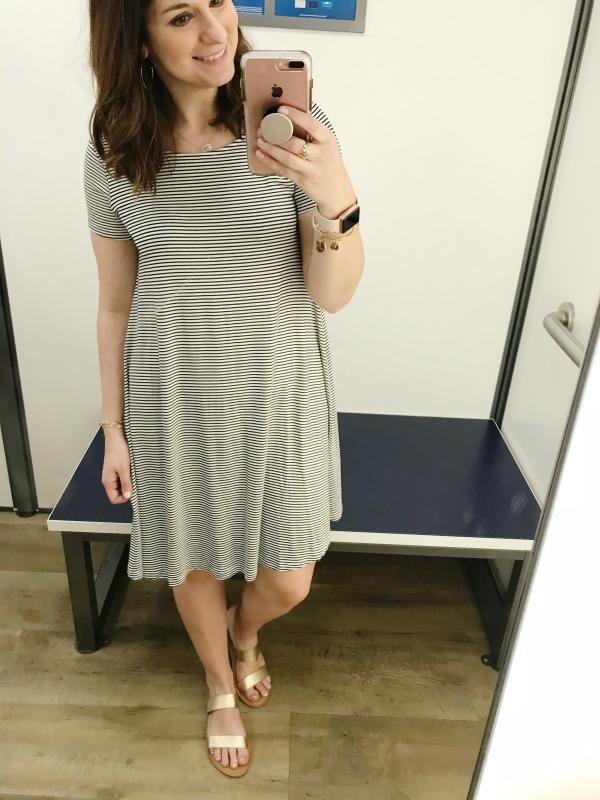 I've tried this dress on in pink before but the gray really caught my eye! I love the drawstring waist and it has pockets! It runs a little big but I would personally still stick with my normal size so that it won't be too short. I'm wearing a size small in this one. 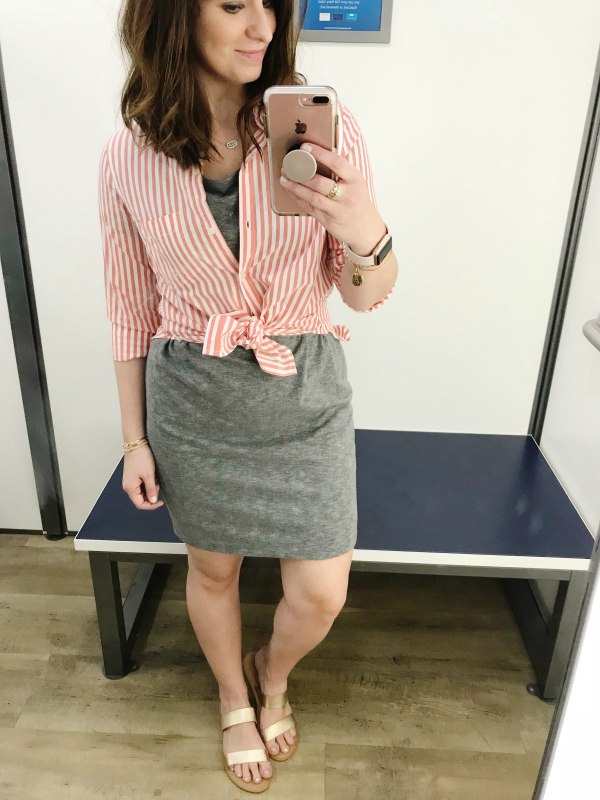 I also tied the shirt for a whole different look! The same two pieces, two different ways! I sized up to a medium in the dress so it wouldn't be as fitted but you could definitely get your regular size if you prefer it to fit closer to the body. The shirt is my regular size and the fit is true to size. The fabric is the shirt is very stretchy so it's easy to tie up. This striped dress is so darling! I love the tiered design! 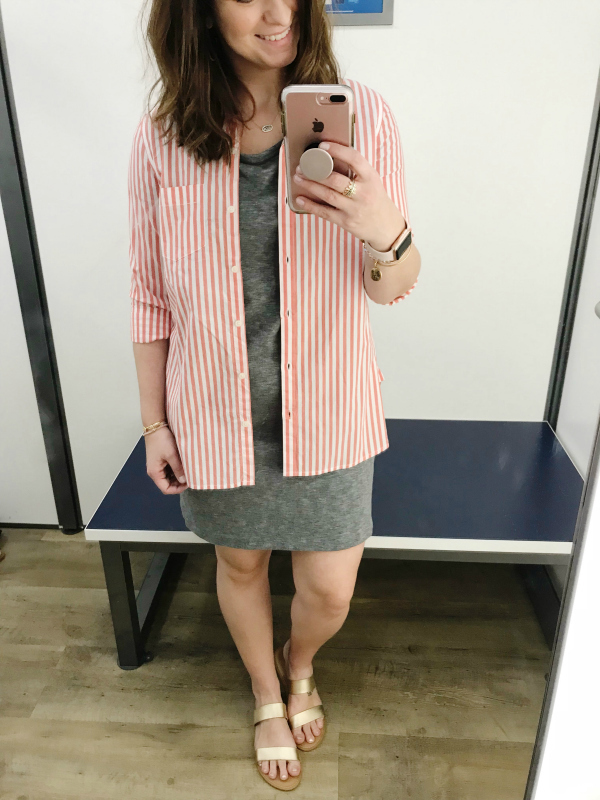 I tried this on in a size small and I found the fit to be very true to size. This would be so cute for Easter! 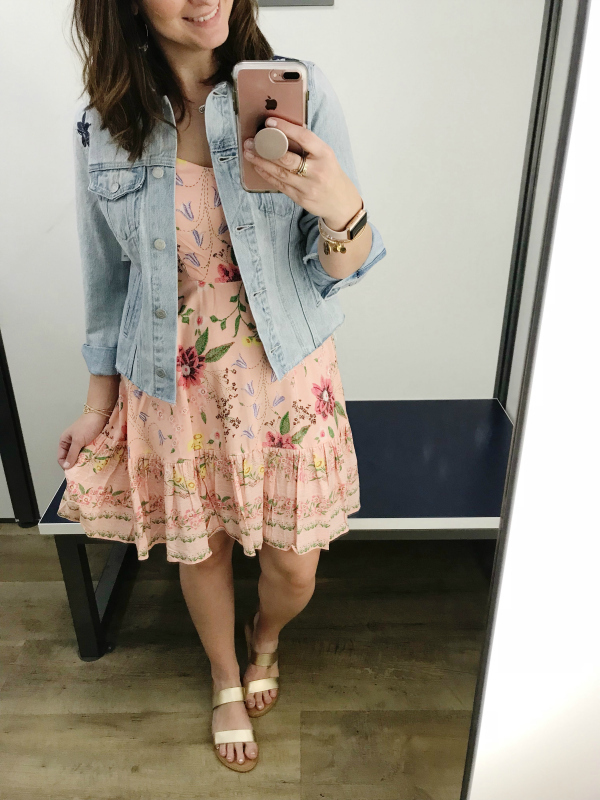 This floral dress isn't something that I would typically pick but I think it's my favorite that I tried on! I love the feminine neckline and the gorgeous colors. I layered this beautiful embroidered denim jacket with it and I love how this look turned out. I sized up to a medium in the dress for extra room in the mid section. but it does fit true to size. The jacket is true to size and I'm wearing a small. I own at least three of these amazing swing dresses! They are the perfect throw on and go dress to pair with sandals or sneakers. 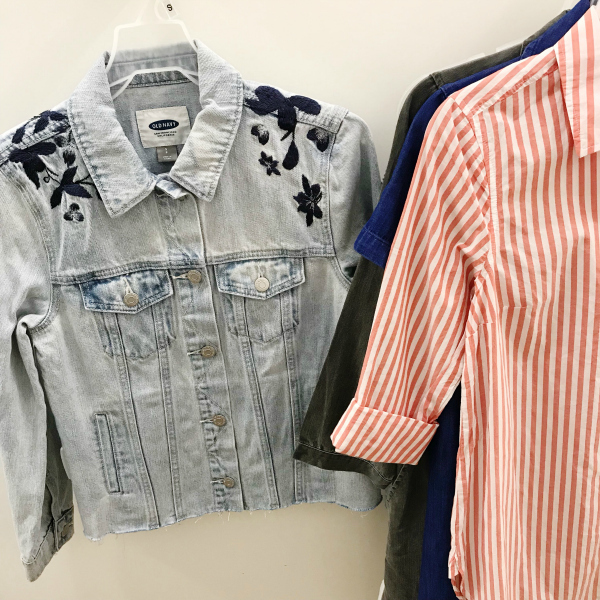 I love layering mine with a cardigan or denim jacket for cool spring days! This dress fits true to size and comes in several different colors. 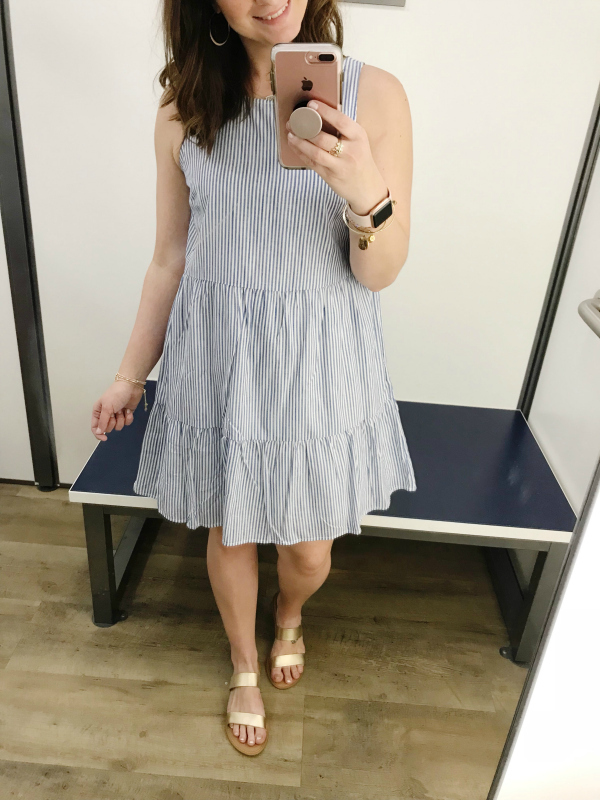 I also tried these sandals on with all of the dresses and they are so comfortable! I'm typically an 8.5 but Old Navy shoes only come in whole sizes. The 9 fit me perfectly in these.